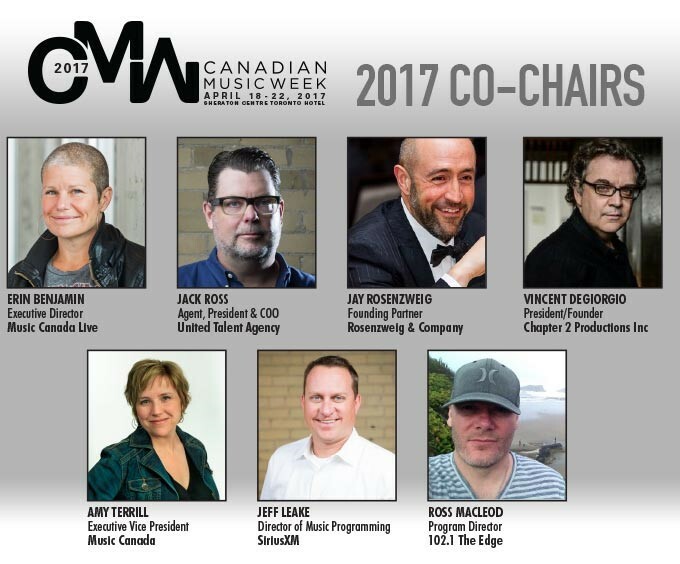 Amy Terrill, Music Canada’s Executive Vice President, has been appointed to Canadian Music Week’s (CMW) 2017 Co-Chair Committee. The seven-member committee is made up of music industry veterans representing the publishing, broadcasting, live music, music technology, agent, and label sectors. “I’m in such great company on CMW’s Co-Chair Committee – what an honour! CMW and Music Canada have forged a very successful relationship over the years which has included putting together some very inspiring programming. I am excited to build on this partnership in 2017 in my role on the Co-Chair committee,” says Terrill. During 2016’s conference, Music Canada, IFPI and CMW presented a day-long international creative economy summit inspired by, and named after, Music Canada and IFPI’s pivotal report, The Mastering of a Music City. The summit featured speakers and music cities experts from Canada, the US, UK, Germany and Denmark. Austin, Texas was a focal point of the summit, and the report, due to its incredible music economy, where music tourism accounts for almost half of their US$1.6 billion economic output. Toronto and Austin formed a Music City Alliance in 2013 to promote mutual growth opportunities between governments and industry. CMW 2017 will run from April 18-22 and over 800 bands will perform at more than 40 venues in downtown Toronto. The festival will also host the first Austin-Toronto showcase, featuring premier talent from both cities. The showcase is an outcome of an Austin-Toronto Alliance Summit, where industry leaders met in Toronto in June of 2016.